As simplicity is a core value of my brand, when it comes to materials and colors, I tend to keep it simple: black dominates my leather bags, wallets, and belts collection, with a colorful detail here and there, only to accentuate harmony of their design and color. My unique and handmade products are made of leather. In the wallet production, I use only thinner leather, usually box calf in combination with goat, sheep or calf lining leather. Belts are made of vegetable tanned cowhide, while the bags are made of box calf or Nappa, which are a bit thicker, but they provide firmness and durability, the qualities my customers recognize and appreciate. 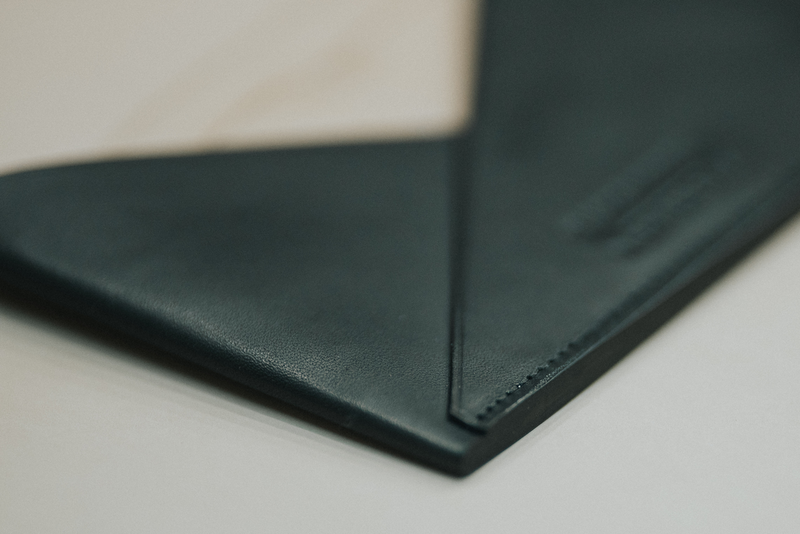 Entire bags’ and wallets’ interlining is also completely made of leather. No synthetic materials are being used in the production: I even use water-based contact adhesive. Other materials I use for my handmade products are Shantung silk – a light and fine fabric ideal for delicate, smooth parts of bags and wallets, as well as stainless steel and, sometimes, wood – both for details and support. All the cutting, edge sanding, painting, and sewing are done manually, with a lot of inspiration, dedication, and a pinch of magic that derives from my passion.